Looking For A New or Used VW Engine? There are loads of reasons you will need to change your Volkswagen’s engine. The car engine might have seized, maybe you have experienced a nasty collision or the engine is just far too old and demands updating. When your vehicle is the sole mode of travelling, you have to get a new engine expediently so you can get back to normal life. There are lots of salvage yards in SA which strip VW’s for spares and we will help you without difficulty contact them! Regardless of the car brand, we’re able to enable you to contact with salvage yards and motor spares businesses through South Africa to find precisely what you may need. looking for a new or secondhand engine on a VW 1.4 Polo Vivo, 2010 year model, in the East London area. I need an engine to replace mine. looking for a new or 2nd hand in-ported engine on a VW Polo 1.4, 2008 year model, automatic transmission in the Swaziland area please. looking for a complete in-ported engine on a VW 1.8 Jetta 3, 1996 year model, in the Kuruman area please. please find me the above mentioned engine at an affordable price. looking for an in-port Volkswagen 16 valve engine said its a code 90 engine, in the Cape Town area please. looking for a new or second-hand engine for a VW 1.4 Polo Comfort-line, 2011 year model in the Piet Retief area. looking for a second-hand engine for a VW 2 liter, TSI Amarok, 2012 year model, in the Pretoria or Johannesburg area. looking for a second-hand BHY engine for a VW 2 liter, 2007 year model. looking for a CNE Turbo Amarok 2 liter engine, secondhand or new. 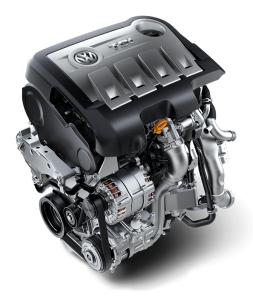 If you are currently in the market for Volkswagen engines, then look no further! Volkswagen engines for sale are often expensive. Buyers can expect to pay several thousand Rands for a Volkswagen engine if bought refurbished or new. Engine Finder helps you to search for a Volkswagen engine that is within your price range. Used VW engines are cheaper than new. Locating Volkswagen engines for sale is made simpler when you work with people who are familiar with the market for engines. Engine Finder’s enquiry form has a detailed email contact fill out where you can describe what particular type of engine you are interested in getting. If a Volkswagen engine is not what you need, there are other types available as well. Engine Finder is glad to provide customers with engine models for many vehicle brands. Engines included in Engine Finder’s database include types for Honda, Ford, Chevrolet, Toyota and Mercedes. Engine Finder’s enquiry form goes through different types of engine suppliers. The three major types are a scrap yard, engine importer, or a motor spares supplier. Engine Finder communicates with scrap yards and engine importers to get you the Volkswagen engine that fits your needs. It is possible to also get an engine directly from suppliers, without having to pay the extra price of employing a middleman. Engine Finder is based in South Africa. South Africa has many junkyards that get old cars with their still usable engines. Used VW engines are often taken from these types of scrap yards in South Africa. Scrap Yards are not usually places that people like to visit, but they are a valuable place to get parts that are otherwise hard to find. A accident damaged VW might have a radio that will otherwise get crushed and turned into scrap metal. Engine Finder and their suppliers benefit by recycling engines that would otherwise not be used again. Volkswagen engines are often air cooled. Air cooling is a simple engine design that uses the atmosphere to keep the engine from running too hot. Volkswagen engines are also frequently located in the rear of the vehicle. An engine location in the rear of the vehicle makes it easier to put a driver seat and cargo compartment in the front. Engine Finder is useful not just for car engines. It is also a tool that you can apply for getting an engine for your truck or motorcycle. If it would like to make a telephone enquiry instead of filling out the enquiry form, you can contact Engine Finder at 087-135-2226. This phone number will ring to customer service on Monday through Friday.